Stairplan also offer a Floating Staircase option. 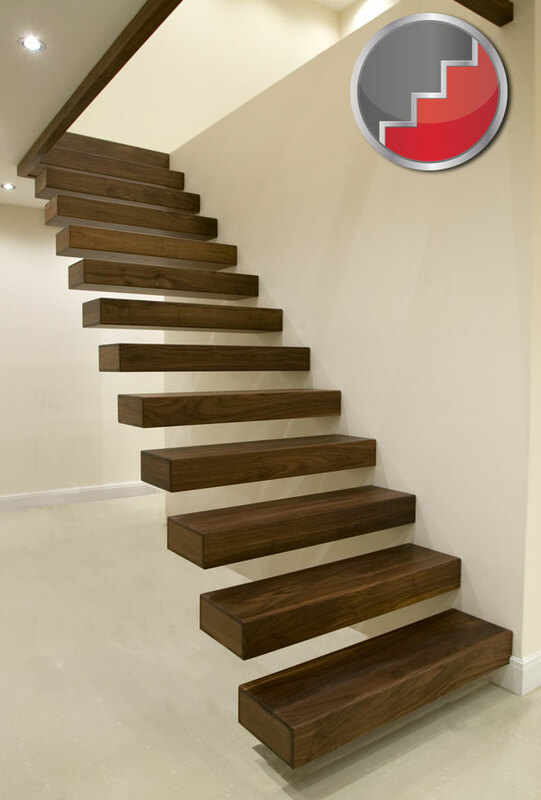 Here you can see our Walnut Floating staircase design. the Black Walnut offers true beauty and in the contemporary architectural design offers a stunning modern look. 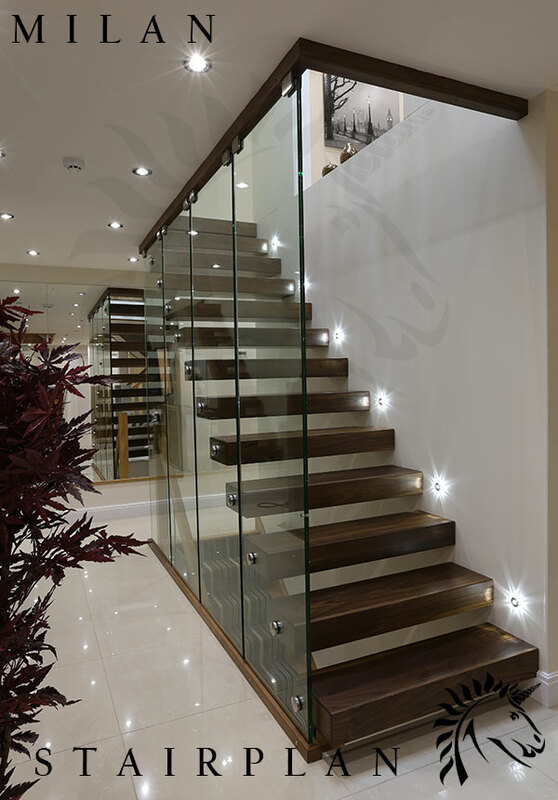 The Walnut Floating staircase design is available to view by appointment in Stairplan's design and development centre. Shown here before the Glass balustrading is installed. 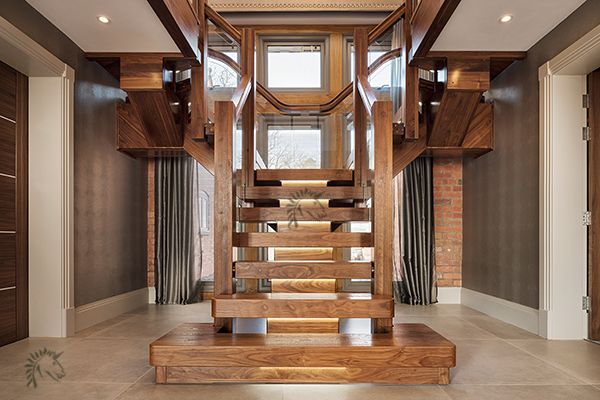 Another Staircase that should be of interest is the Walnut X-Vision Staircase with its chunky stair treads and central string detail. 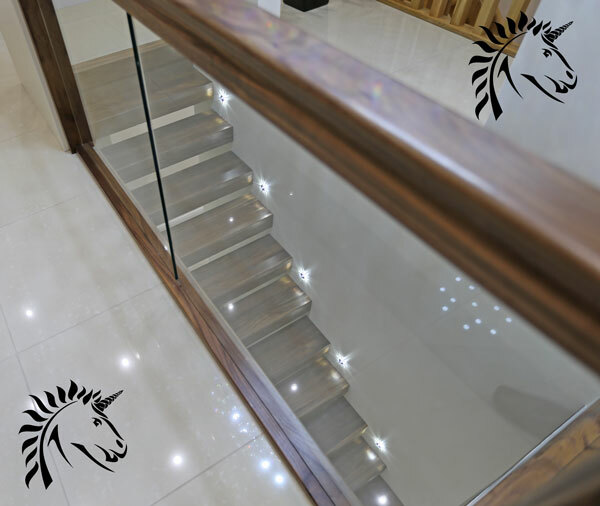 The X-Vision staircase design can be installed in far more situations than the Floating Staircase design due to its architectural and structural requirments. When choosing a supplier for a quality Hardwood feature staircase it important to see a staircase in the flesh call us on 01952 608853. 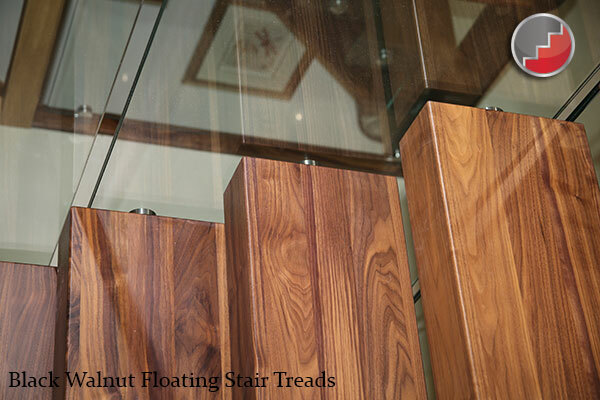 The deep grain in the black walnut wooden stair treads gives a real and natural feel of quality. Produced to the highest standards using Select Grade Black Walnut with recesssed walnut end inlays.